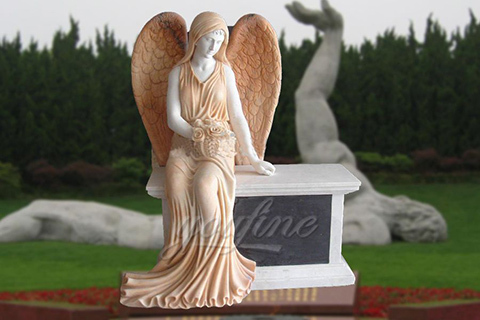 This is a beautifully sculpted mahogany marble headstone of a resting angel in a flowing gown with her wing laying gently over the top of the headstone. 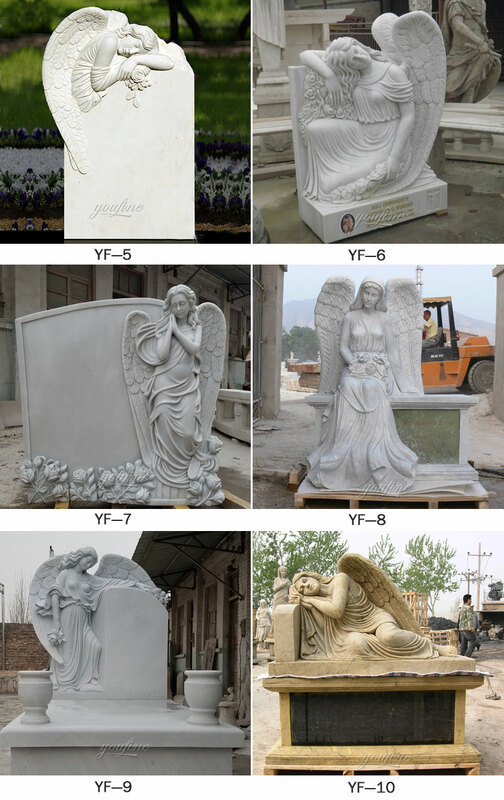 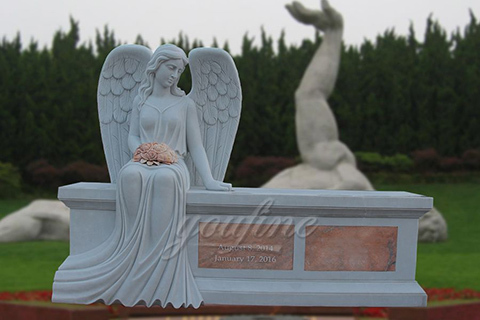 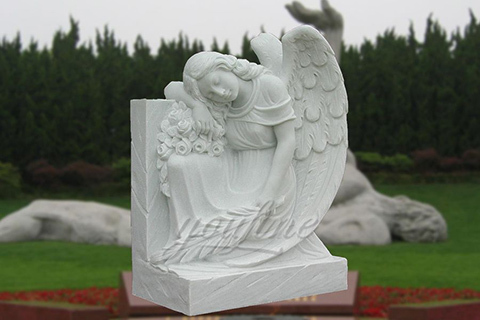 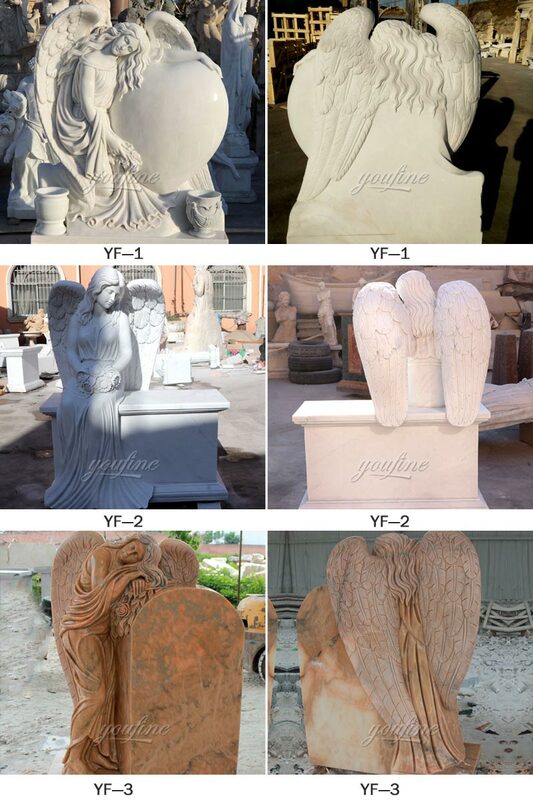 * We call also create the headstone for you in a variety of granite colors. 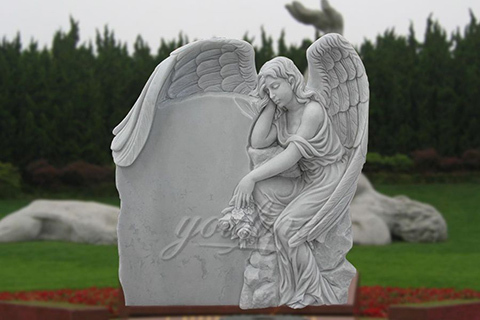 This stunning high quality solid jet black Angel and Heart Monument has intricately carved details on both the front and back as shown. 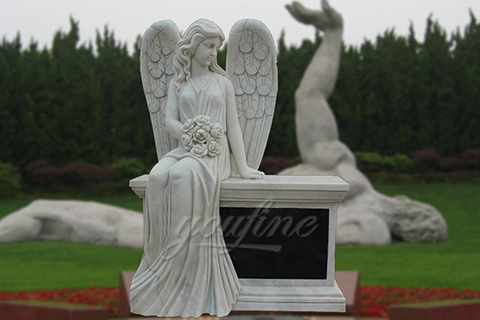 It has a top that measures 36 inches left to right 32 inches top to bottom and is 8 inches thick.